Since taking over the Halo franchise from Bungie, 343 Industries has made it their goal to have community interaction like never before. With such events as Halo Fest taking place since 2011 and various events since, 343 Industries has certainly showed their determination to this community driven goal. As we inch towards the inevitable release of Halo Infinite – the next mainline Halo title – 343 Industries have made it clear that they are listening to fans now more than ever. The fan feedback from Halo 4 and Halo 5 has had a clear impact on the development on Halo Infinite, so now 343 Industries are giving back to the fans with Halo Outpost Discovery. 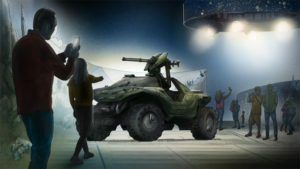 First revealed in February 2019, Halo Outpost Discovery is the brand new interactive Halo experience. It is the biggest Halo event ever revealed and is on a scale that was never thought possible by fans. This Halo experience is a convention of sorts. It will feature a lot of previous items and experiences from past events, including such experiences as the Training Grounds VR. 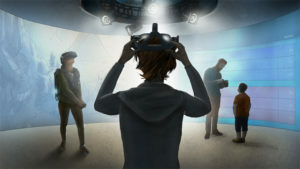 Halo: Outpost Discovery is an experience open to both veteran fans and new fans alike, offering deep dives into the Halo backstory with interactive museum components and hands on gameplay with the most recent Halo games. Featuring more than 300,000 sq. feet of themed attractions, immersive experiences, community engagement opportunities, interactive panels, gameplay, a bustling marketplace, and more, it is looking to be the place to be for Halo fans. The event also features its own lore which further expands the universe. 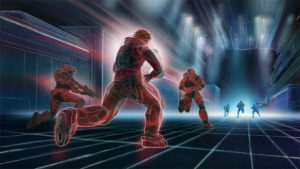 Fans can learn about a new range of characters, such as Spartan Hazel and Spartan Owen either at the event, or on the Halo: Outpost Discovery website. Halo: Outpost Discovery is set to tour over a handful of locations over the summer of 2019. Starting in Orlando on July 5th, 2019, the experience will then head to various other locations such as Chicago and Houston. Halo: Outpost Discovery will then come to a close September 1st, 2019 in Anaheim. It has been confirmed that Halo: Outpost Discovery will be a multiple time event, meaning that the Summer 2019 experience will be the first year of many. What Will The Event Mean For Halo Infinite? The most obvious effect Halo: Outpost Discovery will have on Halo Infinite is the growth of the community. After 343 Industries may have lost the trust of many fans due to Halo 5s marketing and release, MCC on PC has helped bring some of that faith back. Halo: Outpost Discovery is a chance for 343 Industries to fully prove their dedication to the fanbase and gain back any lost trust. With many 343 Industries employees said to be attending each event, it will open the path for face to face interaction and feedback to and from developers. This is an extremely important factor for the fans as well, as they will start to see the human side of 343 Industries instead of just the company side. Interaction with the community is set to increase and therefore so is the community itself. Older fans or fans that aren’t very active anymore will feel more motivated to get involved with current Halo once again. Even people who have never taken an interest in Halo will likely attend this event and in turn will likely become Halo fans because of it. This is an incredibly smart move by 343 Industries, as it creates hype for the upcoming Halo titles whilst having very little room for failure. Halo: Outpost Discovery is in sorts a large marketing tool for the future of the Halo franchise which allows all fans and developers to work together in building an experience everyone loves. 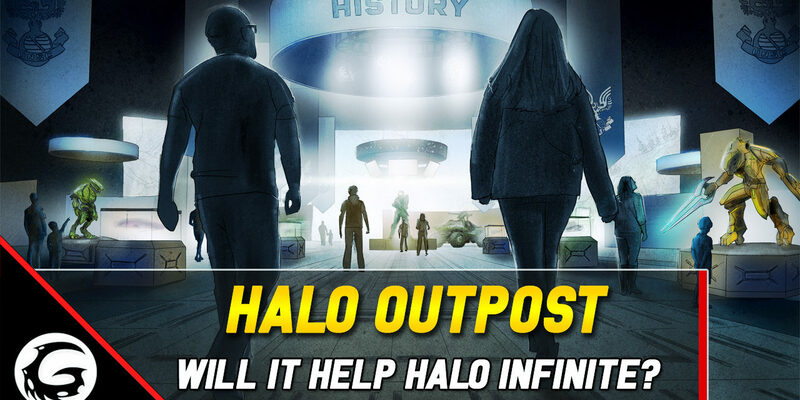 One possibility that is often overlooked is that Halo Infinite will be either at Halo: Outpost Discovery, or will have promotional significance at Halo: Outpost Discovery. The event itself has already been confirmed to be running for longer than just summer of 2019, so we can therefore assume that the future Halo: Outpost Discovery events will incorporate Halo Infinite. It is not yet confirmed when Halo Infinite will release, however, it is expected that the Insider Program for Halo Infinite will release in 2019. Halo Infinite is expected to launch in 2020. It is therefore reasonable to assume that the 2020 Halo: Outpost Discovery events will include Halo Infinite in some way. Overall gaining a larger fanbase, a more trusting fanbase and a more united fanbase are all results that are likely to happen due to Halo: Outpost Discovery. All of these results in turn have an overwhelmingly positive impact for not just Halo Infinite’s development, but also its release. Halo Infinite is looking to be one of the biggest Halo games in the franchise history and 343 Industries are doing everything in their power to get the fanbase on their side before launch. What do you think about Halo: Outpost Discovery? 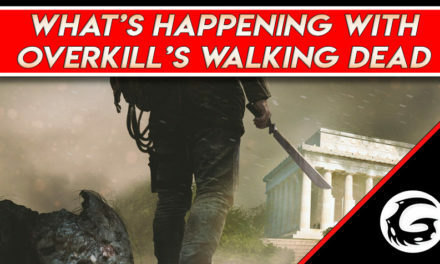 Will you be attending? 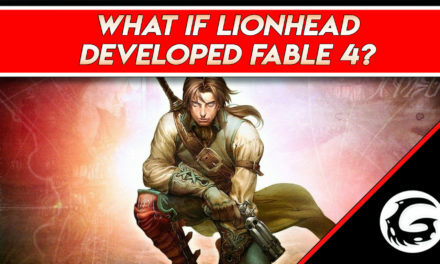 Do you think it will impact the future of Halo and Halo Infinite? You can let us know on the Gaming Instincts Twitter and keep up to date on Halo at Gaming Instincts. Don’t forget to check out more details about Halo: Outpost Discovery and book tickets for the event on the official Halo: Outpost Discovery Website.